The Asian Pacific Journal of Cancer Biology (APJCB) is an open access electronic journal, publishing papers in the field of cancer biology with emphasis on the celluelar and molecular biology of cancer. The journal was launched in 2015 as the official publication of the West Asia Organization for Cancer Prevention (WAOCP) and its first volume with 7 articles was published in 2016. The WAOCP with its distinguished, diverse, and Asia-wide team of editors, reviewers, and readers, ensure the highest standards of research communication within the cancer sciences community across Asia as well as globally. The APJCB accepts manuscript on the whole spectrum of cancer sciences. All manuscripts published in the Asia Pacific Journal of Cancer Biology, are under the terms of the Creative Commons Attribution License. This permits anyone to copy, distribute, transmit and adapt the published work, provided the original work and source are appropriately cited. Asian Pacific Journal of Cancer Biology (APJCB) is now indexed in INDEX COPERNICUS, EBSCO, Chemical Abstract, Google Scholar, Directory of Open Access Journals (DOAJ), and INTERNATIONAL SCIENTIFIC INSTITUTE. The Journal has applied to be indexed in EMBASE and Scopus, , and PubMed. 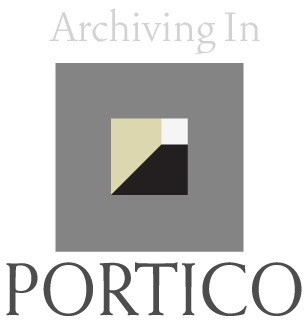 The Asian Pacific Journal of Cancer Biology's Archive will be deposited in PORTICO's repository system. The agreement was signed last year and the APJCB was added to the agreement in May 2017.